Snakeskin fabric swatches / samples. 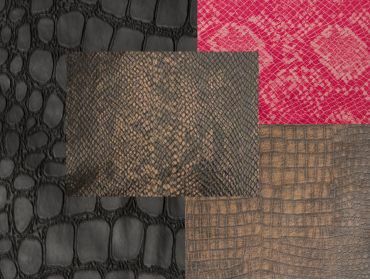 Our reptile embossed fabrics come in a variety of thickness with different degrees of stretch. Common applications include jackets, motorcycle seats, leggings, bags, purses, corsets, Cosplay, and halloween costumes. Snakeskin Swatches has been added to your cart.